I think every other "Official Red Book" manages to at least get a splash of red somewhere on the cover, but the 10th edition (2008) United States Pattern Coins (Official Red Book) is blue. It's an attractive book, actually. It's also in full color. That wasn't the case for previous editions, so if you go looking for this, make sure you get the 10th edition. The photographs are not high quality, but they are more than enough to show you what these coins look like. As there are unique patterns that haven't been seen for years, it's amazing to have photos at all! But there's more to this than just that. For example, J-610 and J-611 are nickel and copper versions of an 1868 Large Cent. The text explains that the obverse was probably meant to be for a ten cent coin, but someone decided to grab an old large cent reverse die and strike a few dozen coins. Such chicanery was not unusual at the Mint in this time period. From the late 1850's to 1885, those with the right connections could apparently get almost anything they wanted struck or restruck. The historical detail makes this a fascinating book even if you have no great interest in patterns. 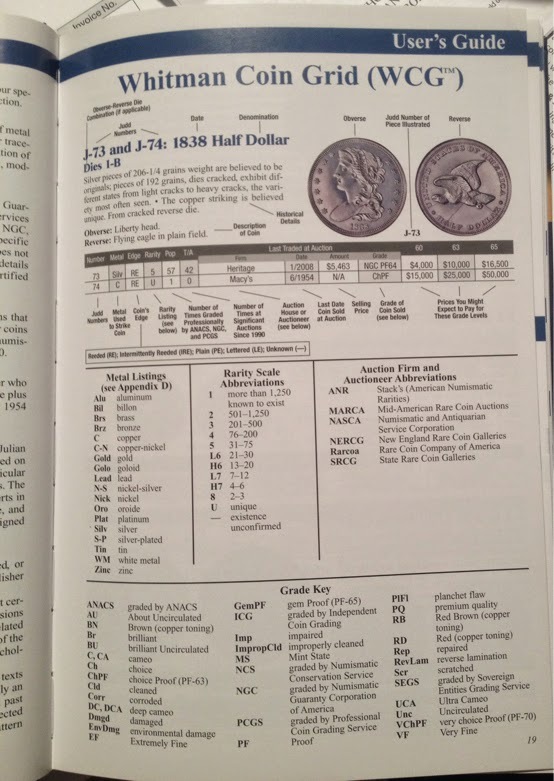 United States Pattern Coins (Official Red Book) is usually available new for $20 to $30 and can be found used for $17 or so.